Panic! At the Disco is currently a three-piece rock band hailing from Las Vegas, Nevada. 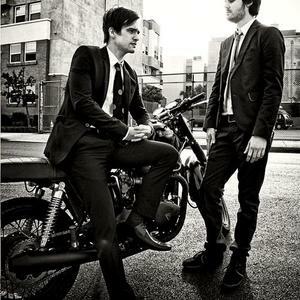 The current members are vocalist/multi-instrumentalist Brendon Urie, drummer Spencer Smith and, bassist Dallon Weekes. Their debut album A Fever You Can't Sweat Out has sold over 2.2 million copies worldwide, 1.5 million of which were in the United States alone. This shot them into the international spotlight. Their sophomore album Pretty. Odd. debuted at number 2 on the Billboard 200. The band released their third album, entitled Vices & Virtues, on March 22, 2011, while the record's first single, "The Ballad Of Mona Lisa" was released February 1, 2011.